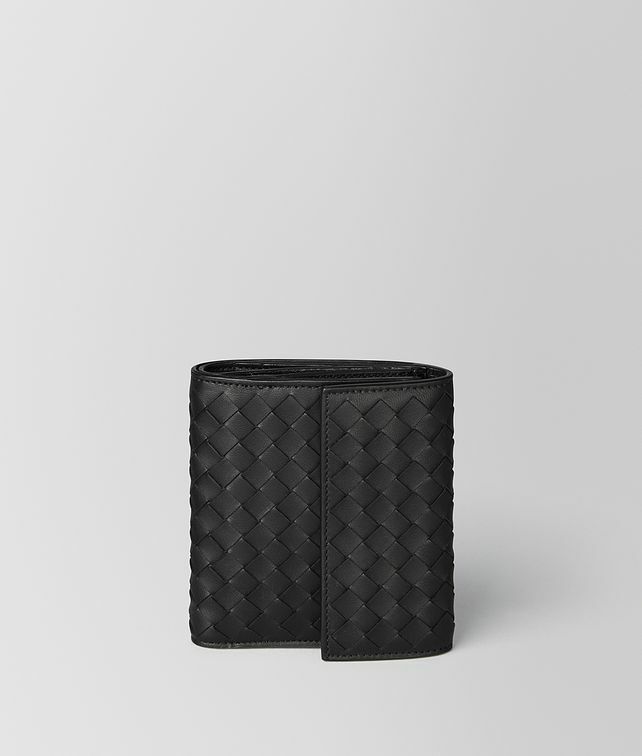 This compact wallet is hand-woven from supple nappa leather in iconic intrecciato. It features six card slots, one compartment for bills and a zipper coin pouch. Depth: 2cm | .8 "